I still have a few bags of beautiful BC spot prawns in my freezer left over from my spot prawning adventure. I’ve been saving them for when it’s warm enough to throw them on the grill whole, but with wet days of May that just hasn’t happened. Wanting to delight in these wonderful creatures while they’re at their best, I decided to pull a bag out for dinner. 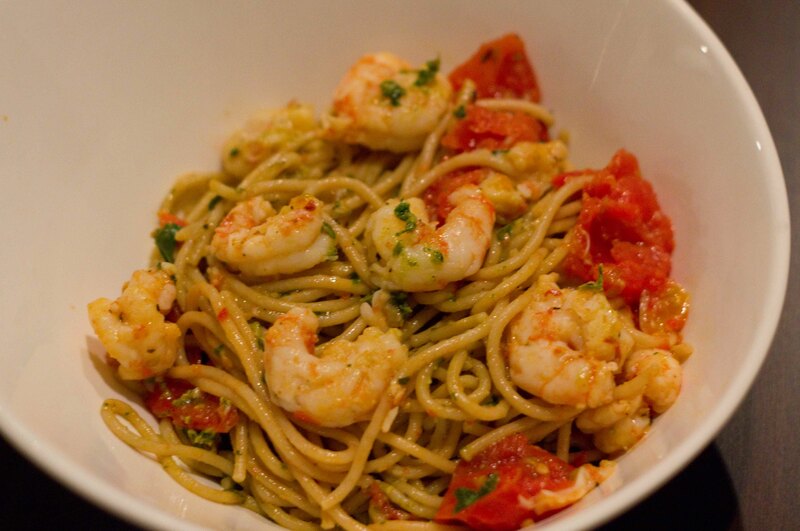 Simple is best, so I decided that I’d make a quick and simple pasta dinner and then toss the prawns in at the end for a bit of luxury. In my efforts to include healthier choices for the carbohydrates in my diet, I opted to use Kamut spaghetti. 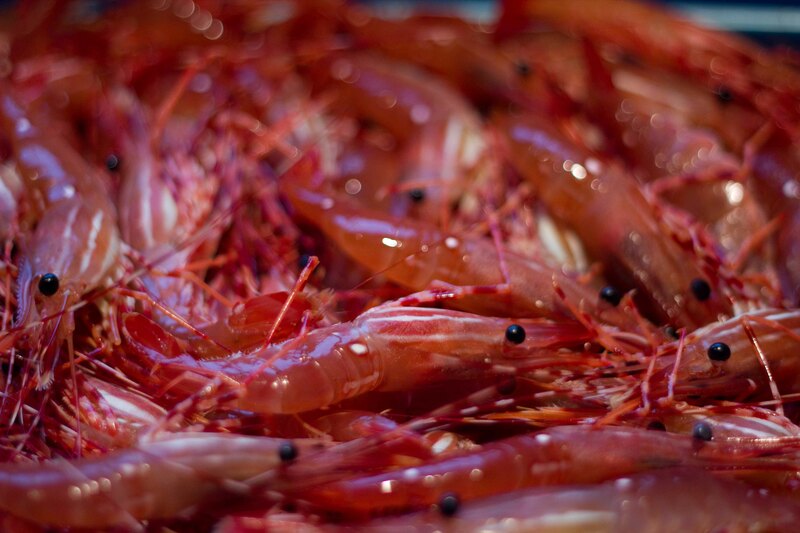 Take off the heads & peel at least a pound of spot prawns. Reserve the shells to make prawn stock to be used later. Heat water in a large pot, add salt and pasta when boiling. Cook as according to instructions on the package. 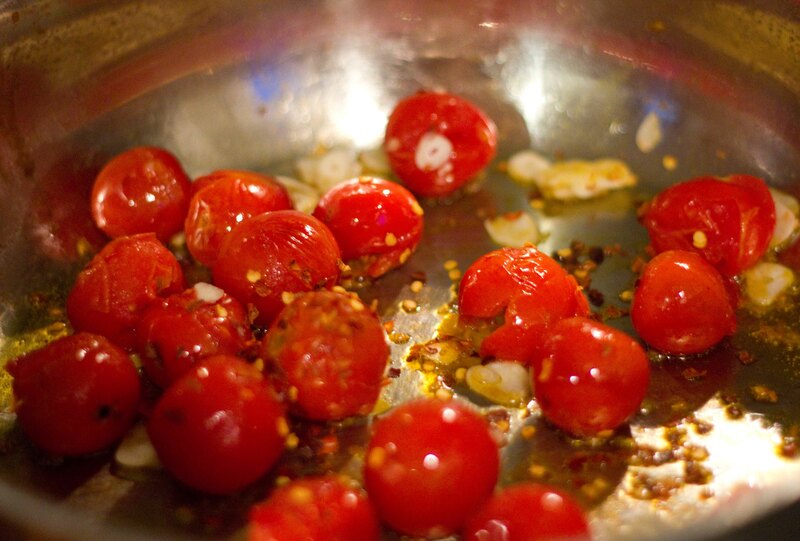 Add a few glugs of olive oil to a hot pan, throw in a pint of cherry tomatoes and heat until they burst. Smash the tomatoes and add a few cloves of thinly sliced garlic and chilli flakes. Presto your easiest tomato sauce is done! Add prawns to the pan and sear a moment a side. Add cooked pasta to the pan and toss. I had some pesto on-hand so I tossed that in as well. Finish with a sprinkling of basil/parsley and a light drizzle of your best olive oil. This dinner took less than an hour than my other spot prawn pasta dish, but was no less delicious. I love it when simple dinners taste as wonderful as anything you can order at a restaurant. Previous PostPrevious Quick Bite – Kingyo Treat!